Vinyl flooring is created layer by layer. 2. Wear Layer – Safeguards the pattern layer. 3. Pattern Layer – Supplies the sheet’s color and its looks. 5. 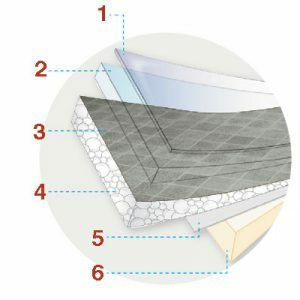 Fiberglass – Keeps the sheet flat. 6. Base Layer – Supports all layers. We love the historic appeal of floors covered with wood, stone, or ceramic. But when these materials are out of our budget and require more care than we have time for; the smart money is often in vinyl. This durable flooring holds up to grit and spills while providing a beautiful and comfortable footing. Even if you have mess-makers in your house, cleaning vinyl is a breeze! There’s no need to get on your hands and knees to scrub; regular sweeping and spot mopping is plenty. 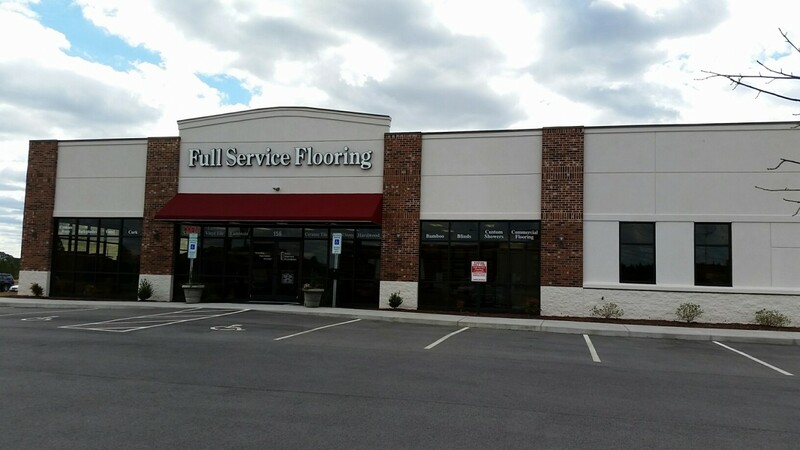 Stop by our showroom to have us come out and give you a free estimate on your next vinyl flooring! Click to learn more about these great brands! This is from our August 2015 newsletter. Want to stay up to date? Subscribe!